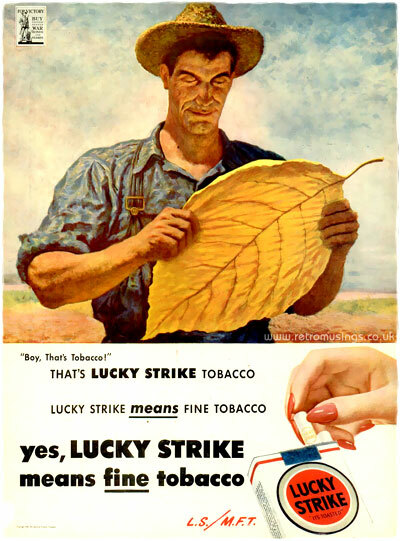 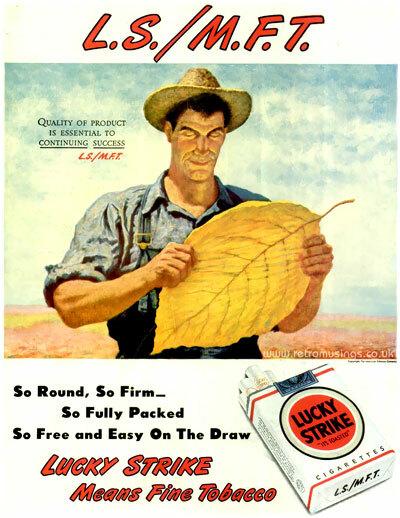 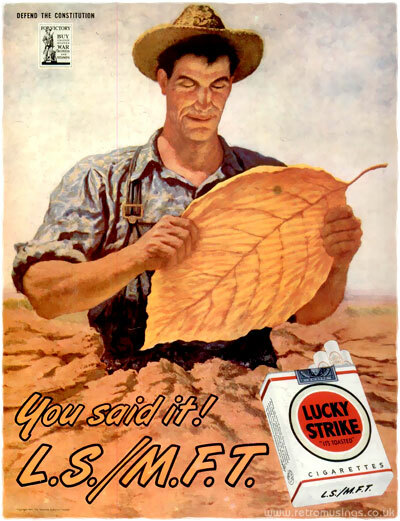 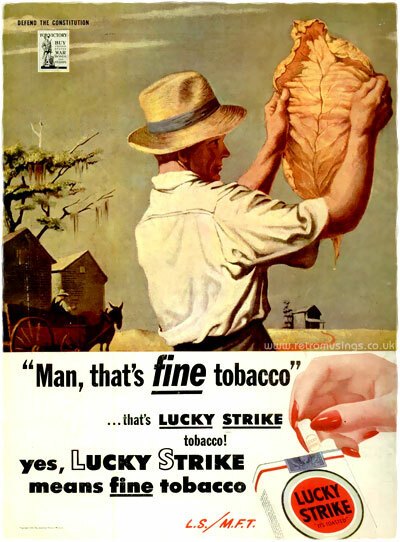 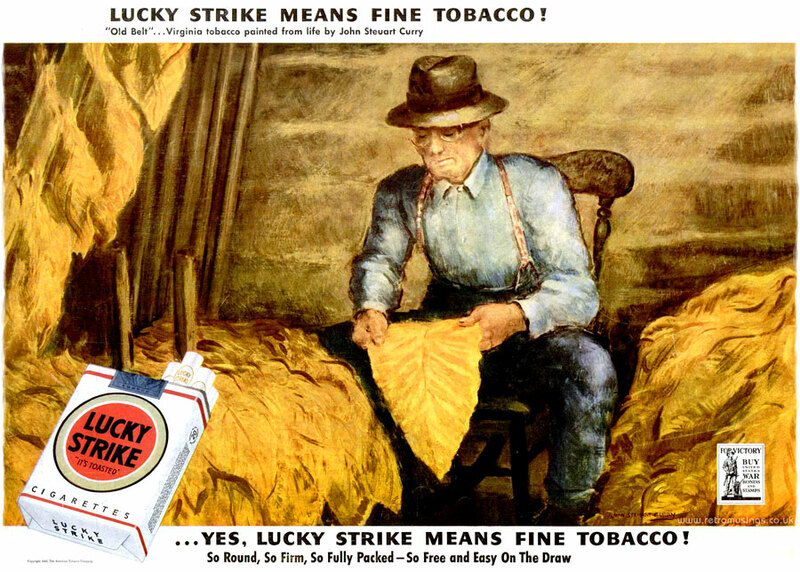 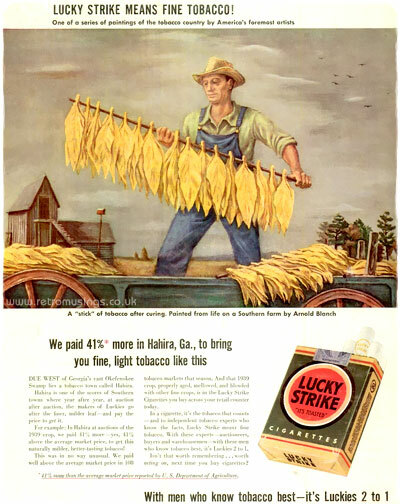 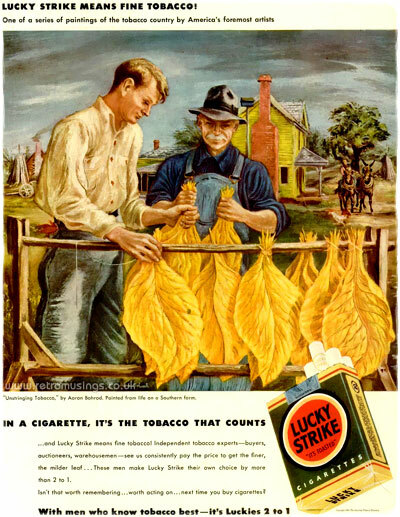 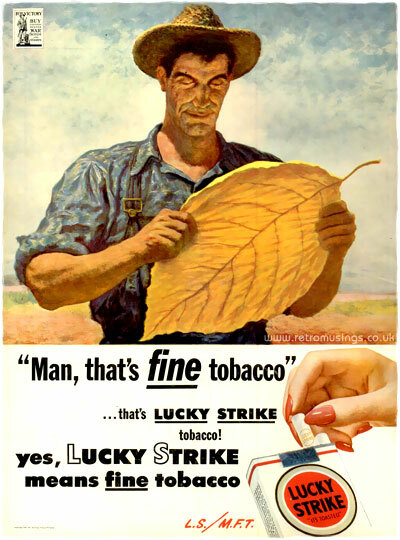 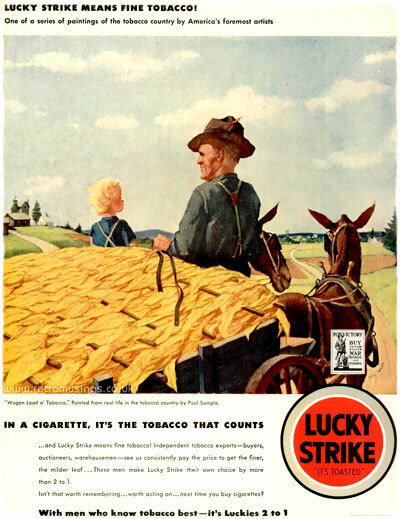 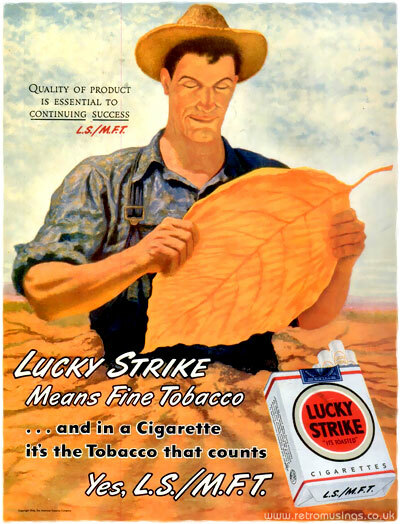 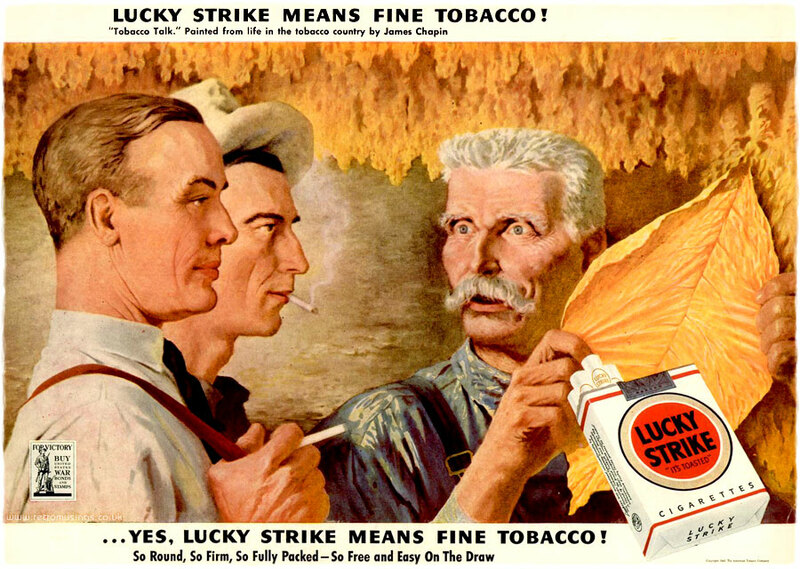 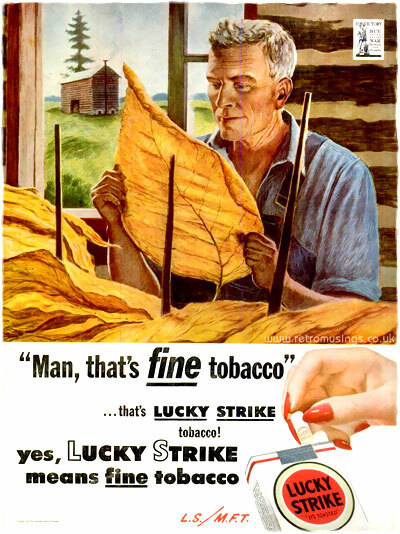 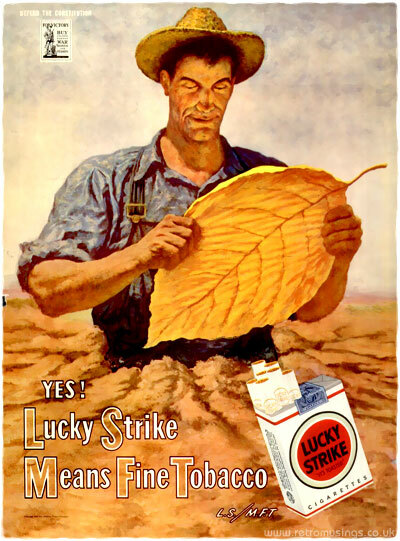 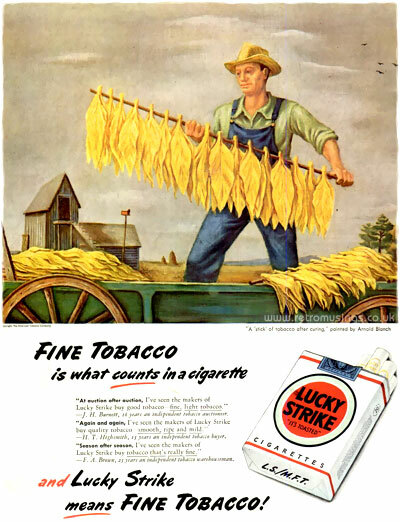 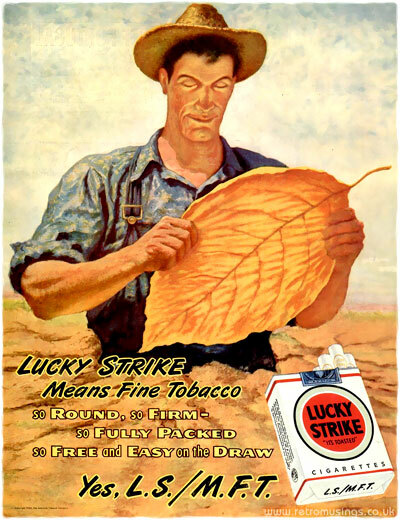 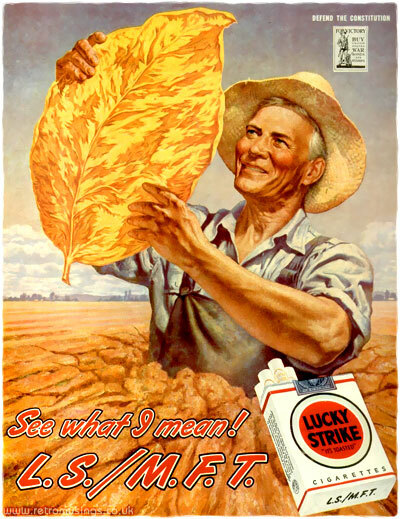 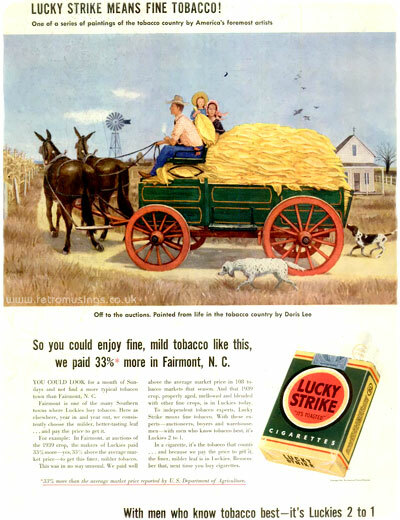 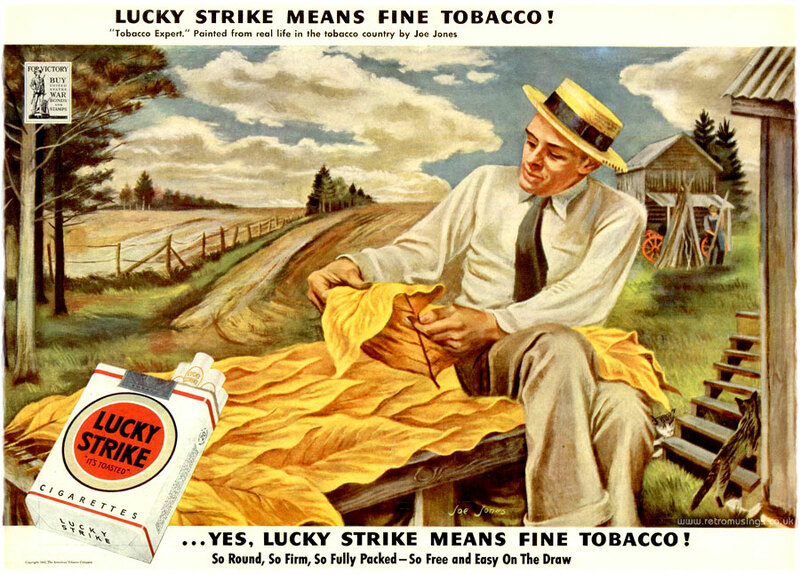 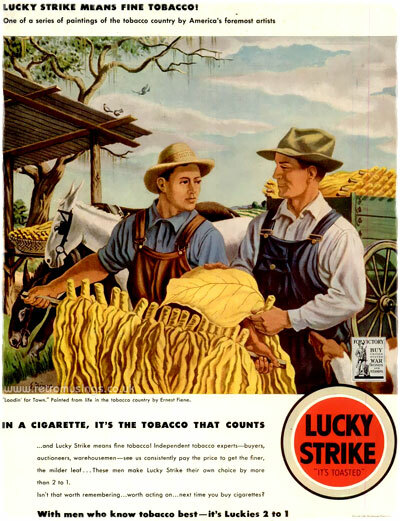 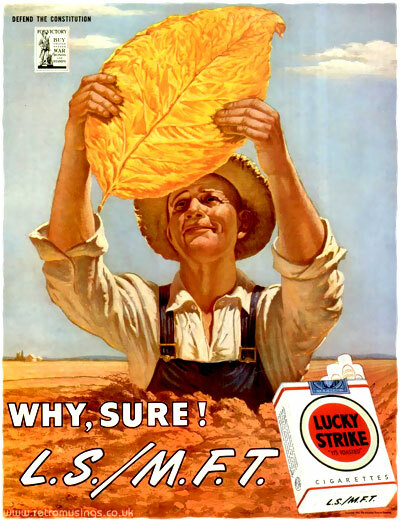 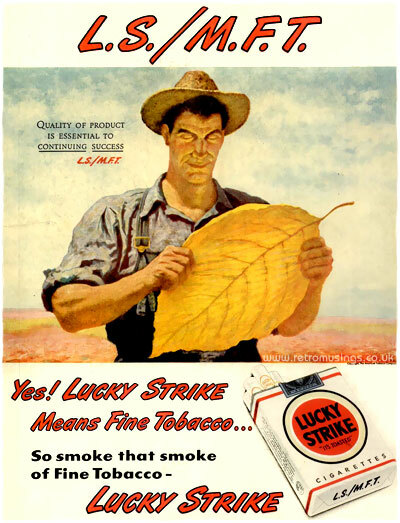 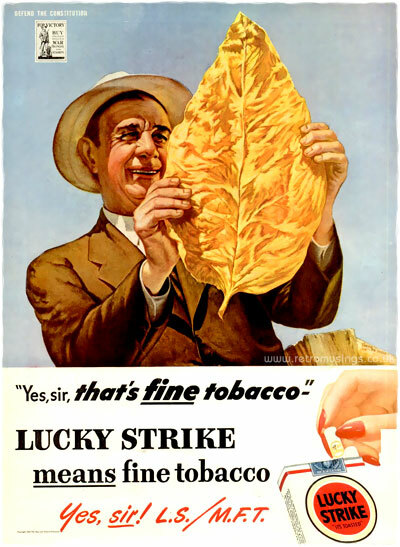 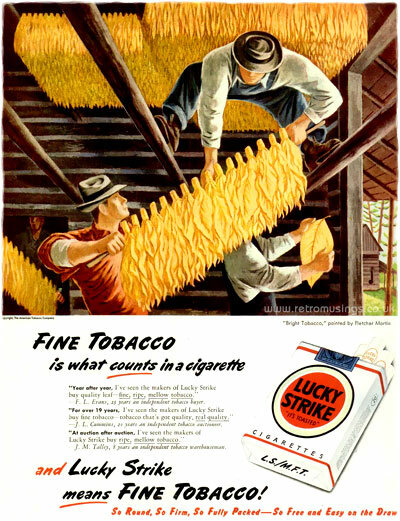 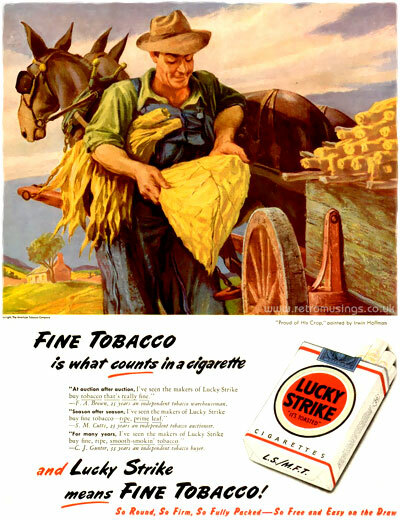 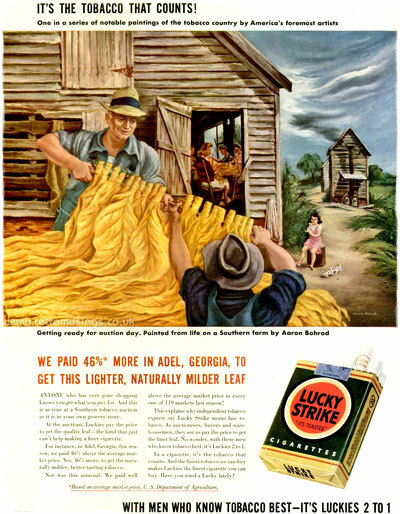 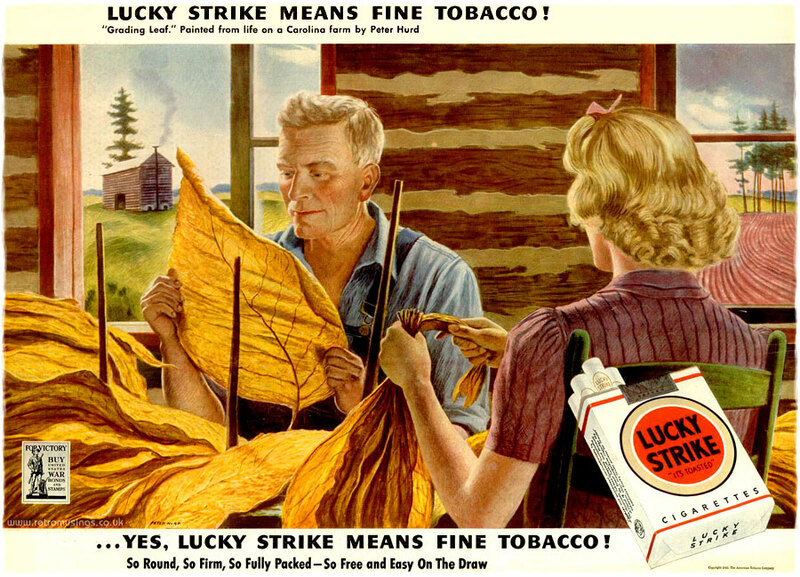 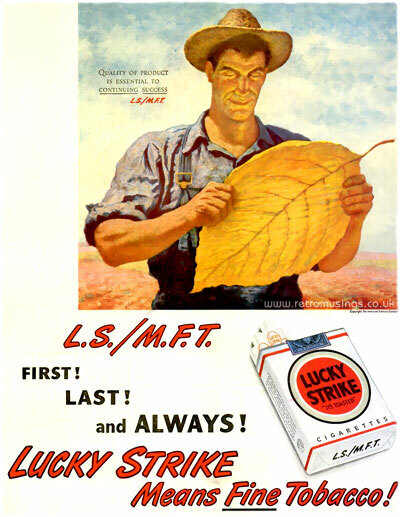 These ads for Lucky Strike cigarettes date from 1942-47, illustrated by various artists (see under images for names). 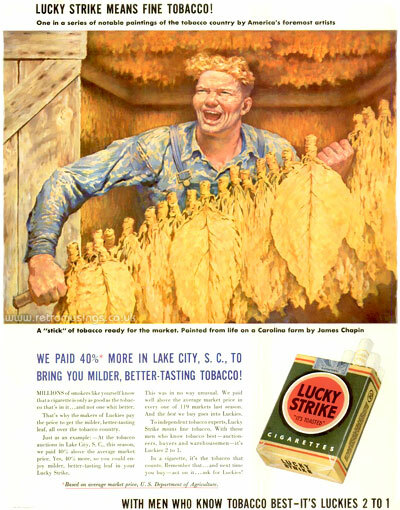 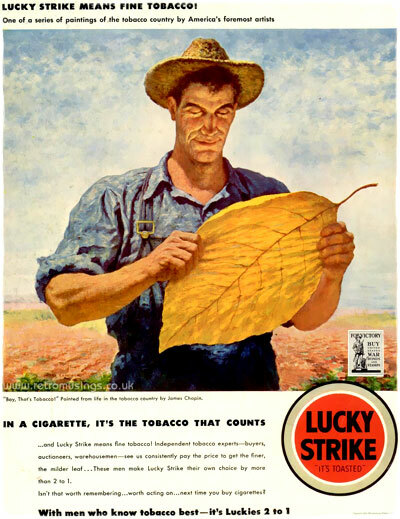 Like their previous campaigns, these ads were all about the tobacco leaves and don’t feature anyone actually smoking (bar one). 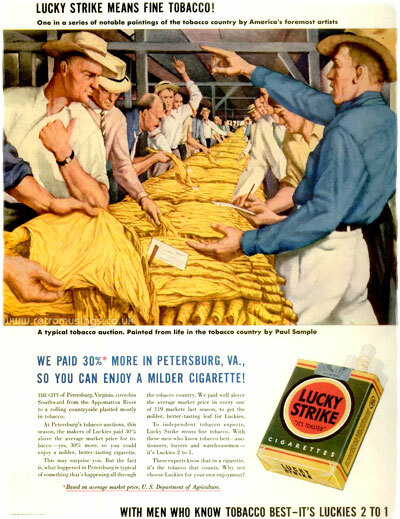 Late 1942 saw the photo of the cigarette packet exchanged for just the logo, as well as changing their packets from green to white (supposedly as part of the war effort to save certain elements used in the dyes). 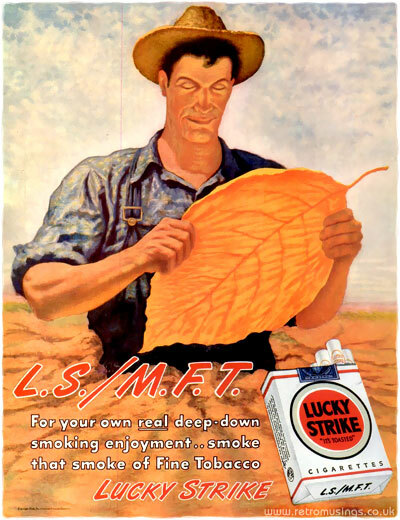 The ads from 1943 were all landscape. 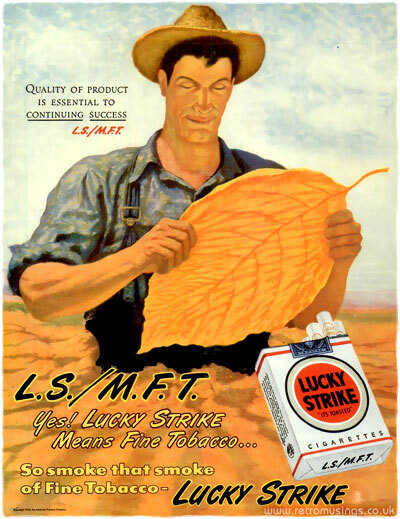 The circular logo was changed back to the now white cigarette packaging in the middle of the year. 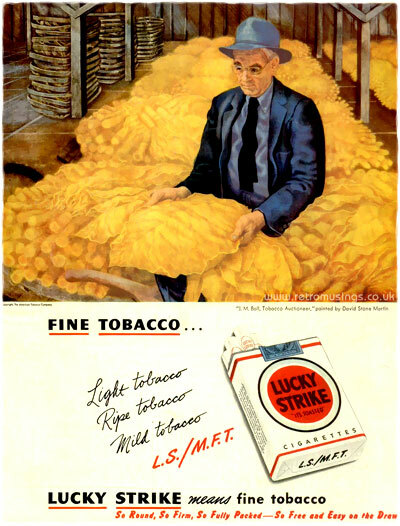 Earlier illustrations were re-used, and one in particular was used all throughout 1946 (see lower down for comparisons). 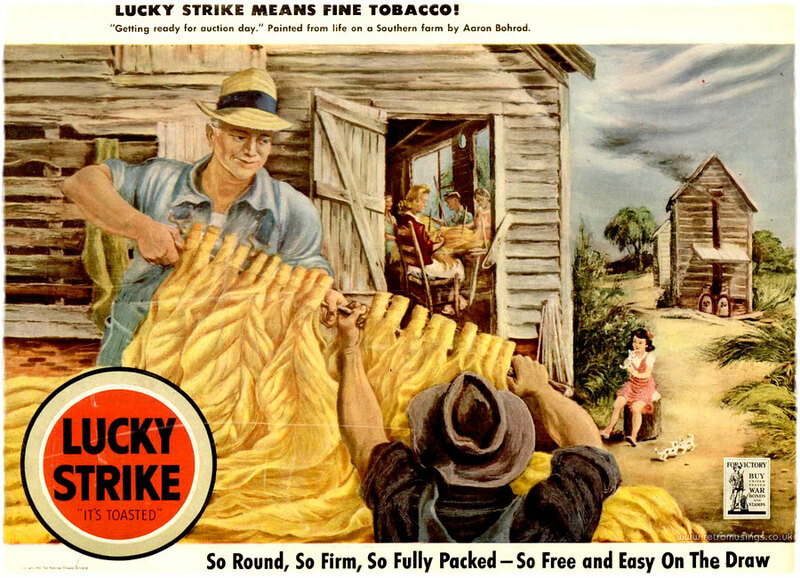 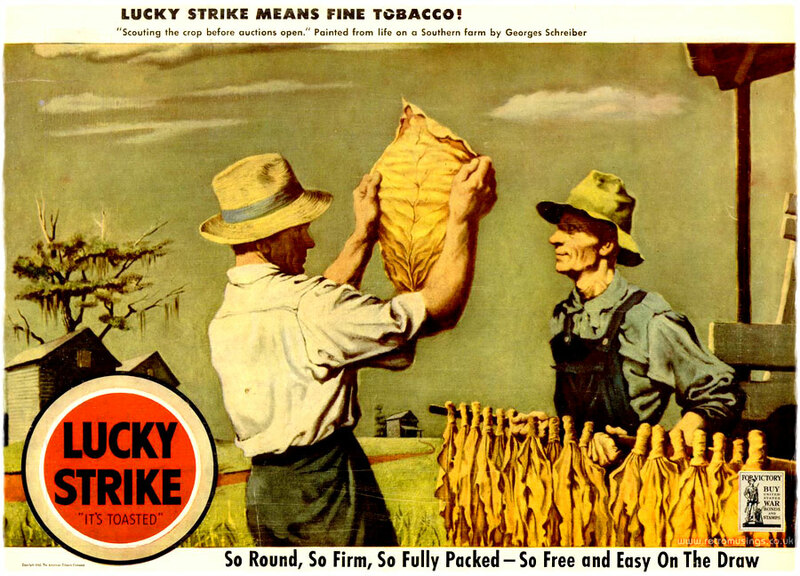 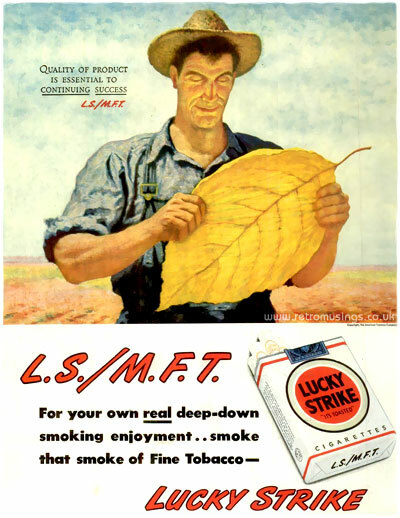 They also all included the cryptic lettering “L.S./M.F.T.“, which stood for “Lucky Strike Means Fine Tobacco” (still in use). 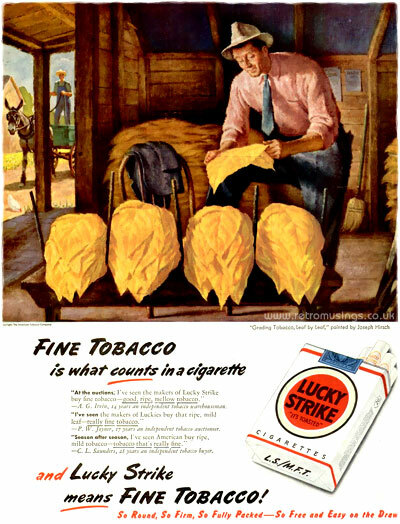 The lettering was also printed on the bottoms of the cartons. 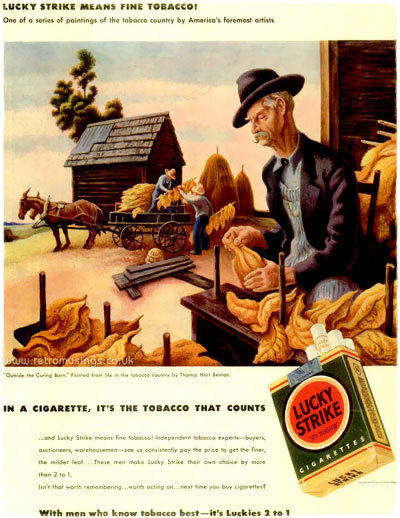 This 1942 illustration by James Chapin was several times during 1942-45, as well as all throughout 1946-47 in various styles.